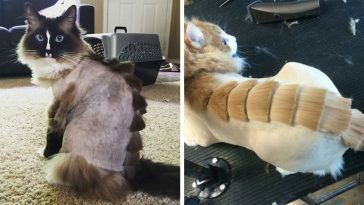 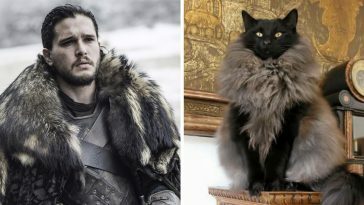 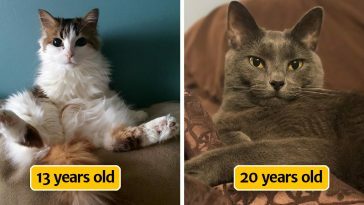 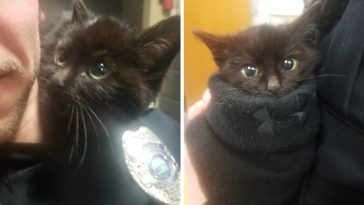 Cats are absolutely hard to please. 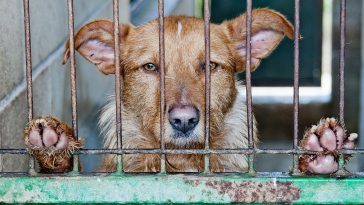 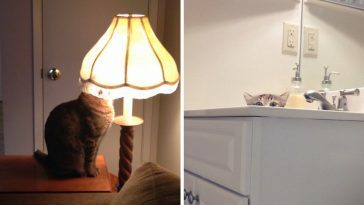 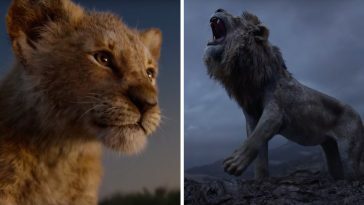 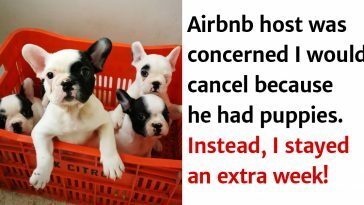 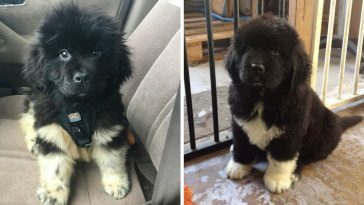 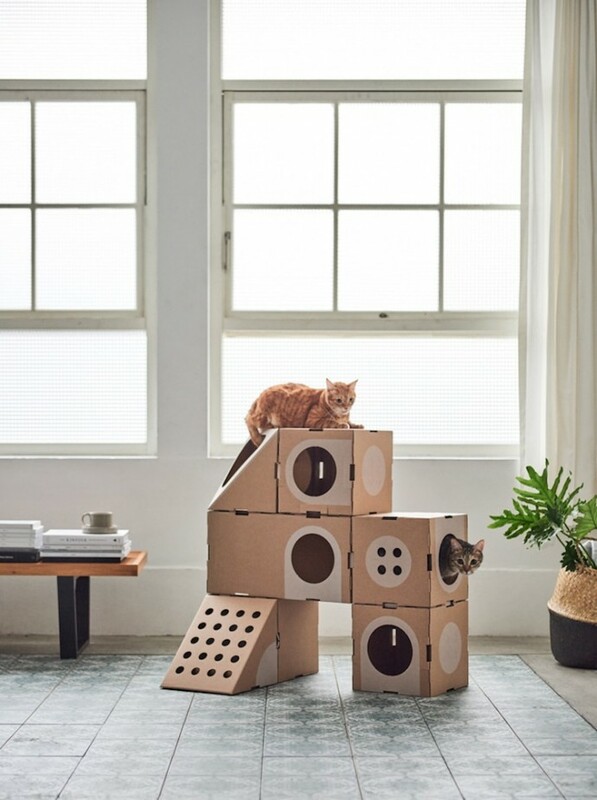 They’re not easily entertained like dogs, and they’re easily bored when indoors. 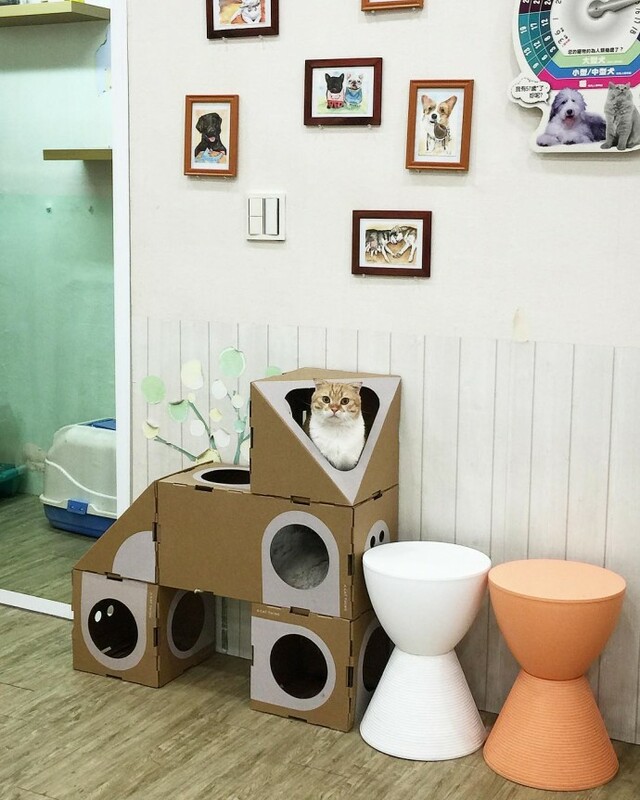 It’s hard for them to find something fun to do when they’re not frolicking under the sun. 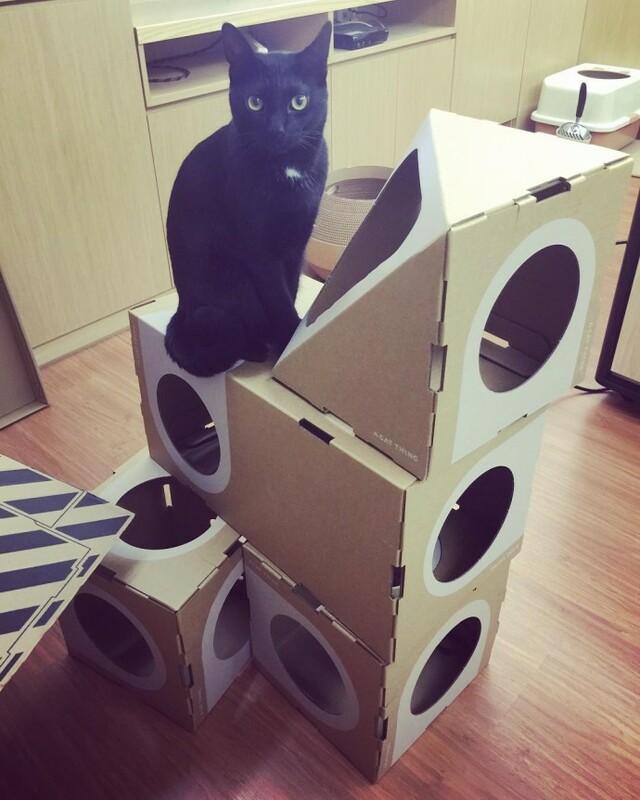 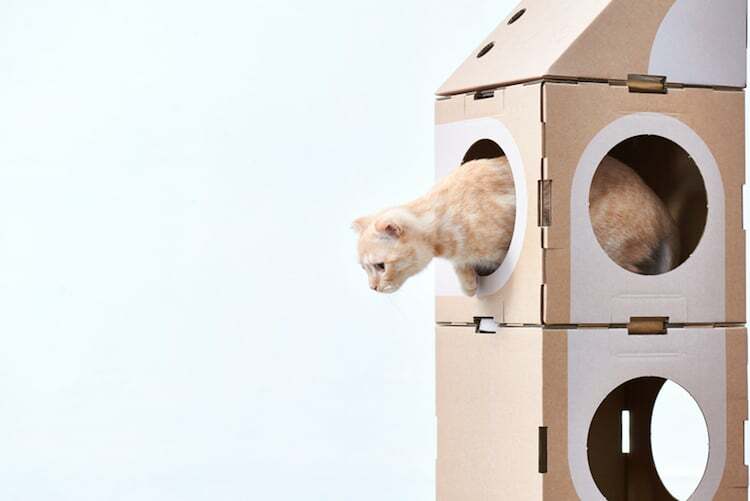 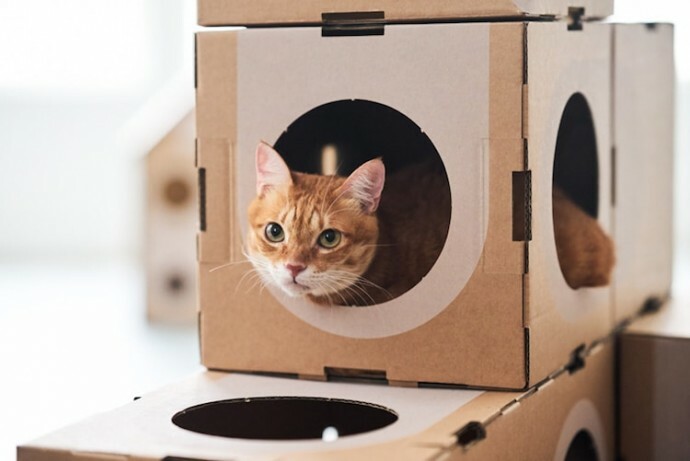 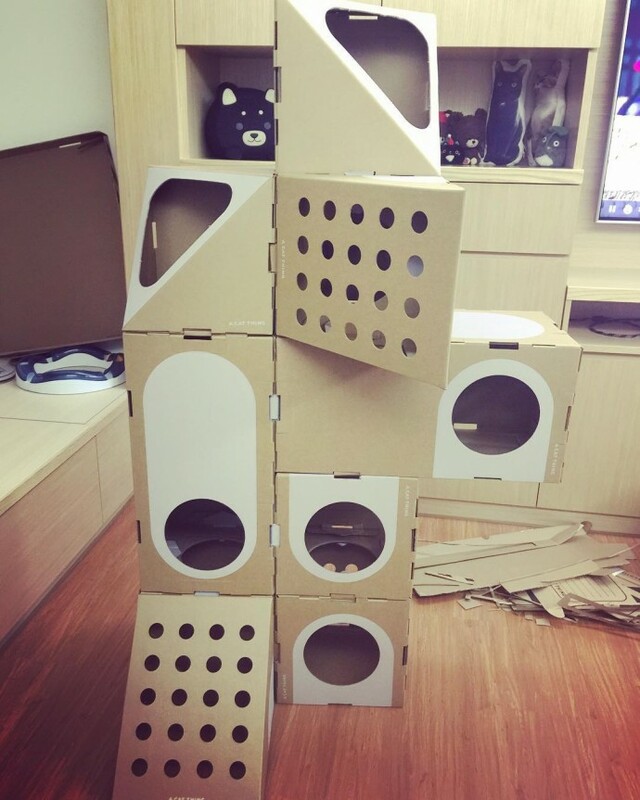 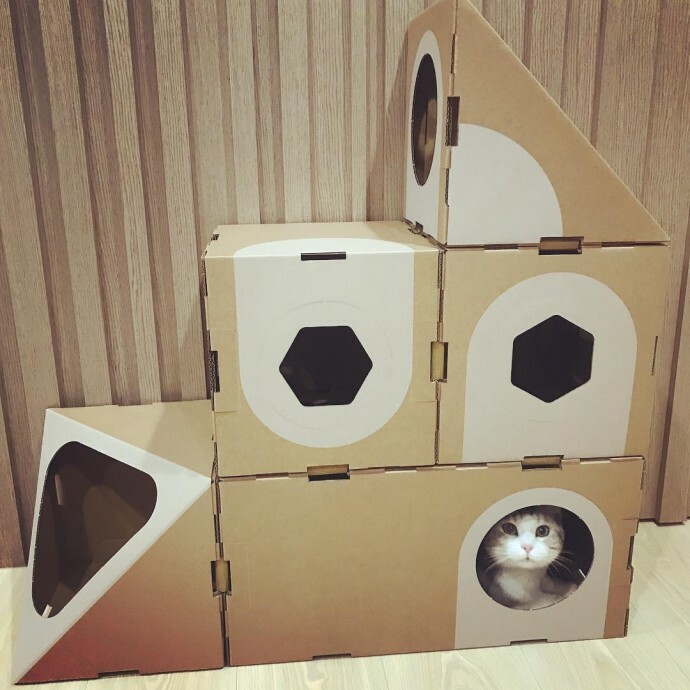 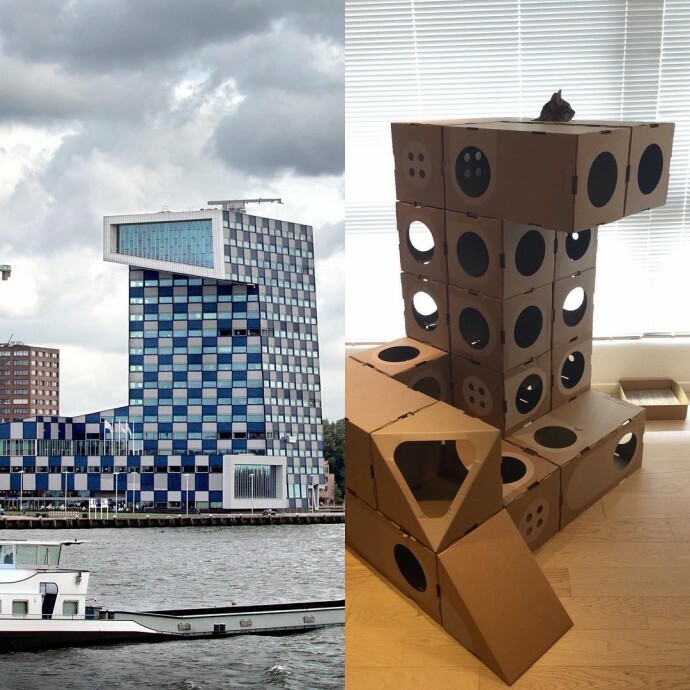 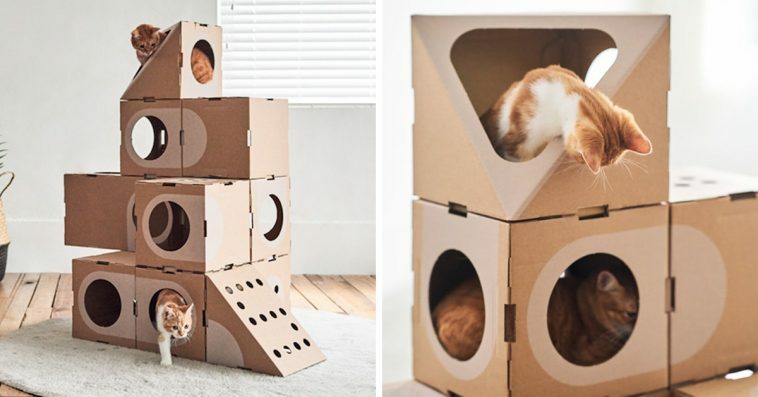 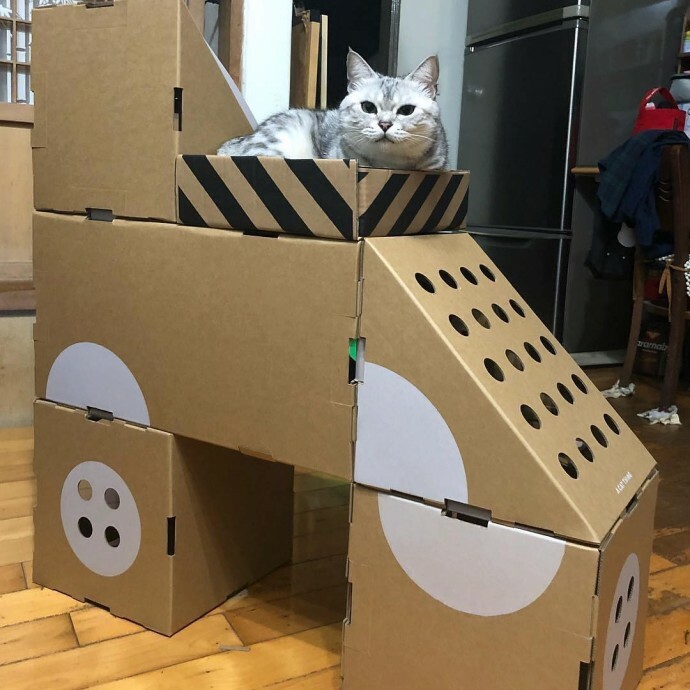 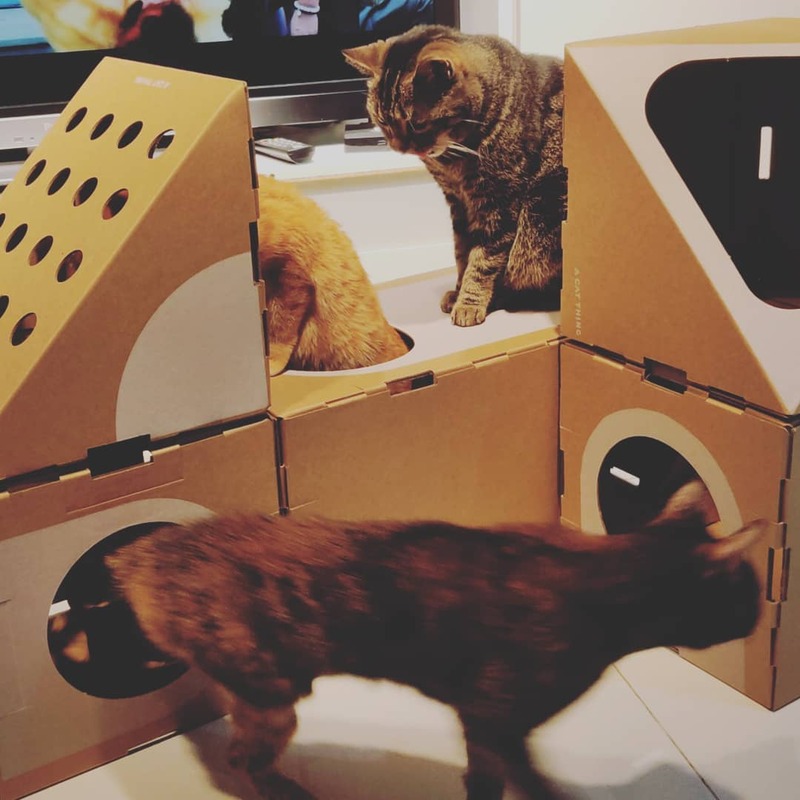 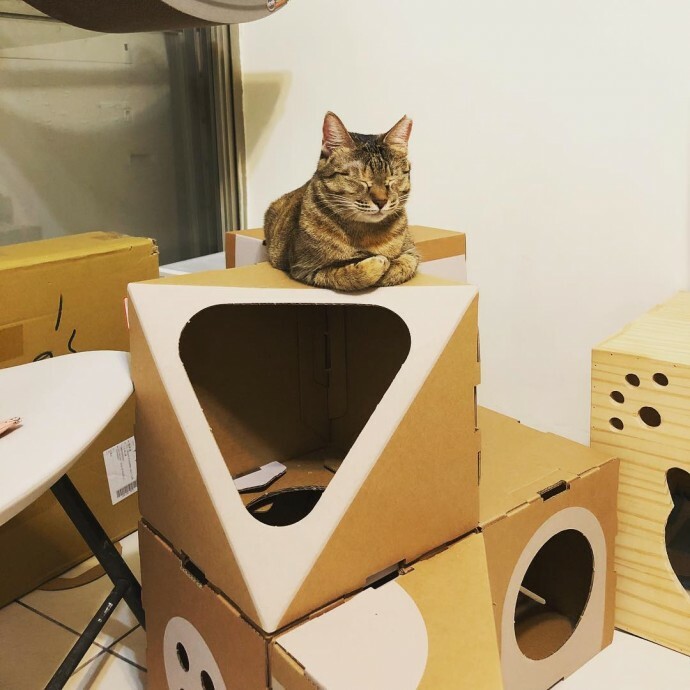 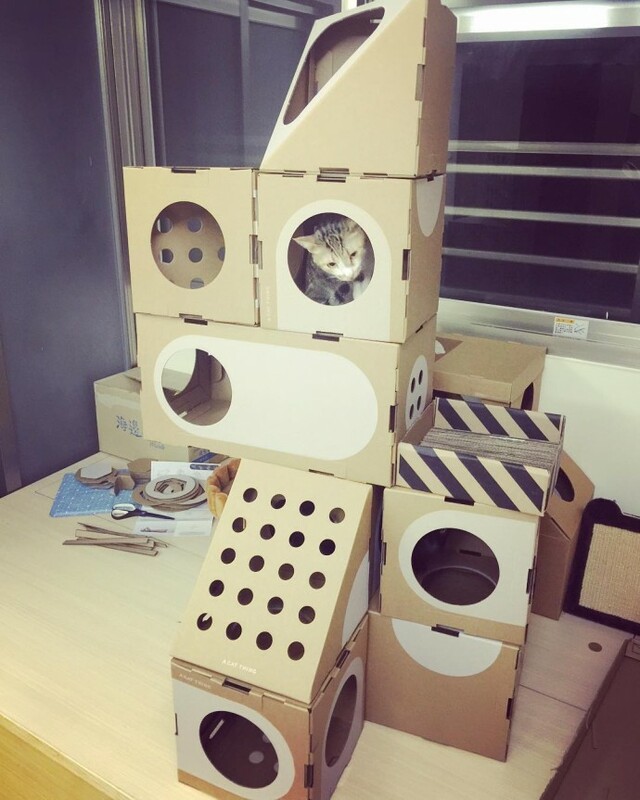 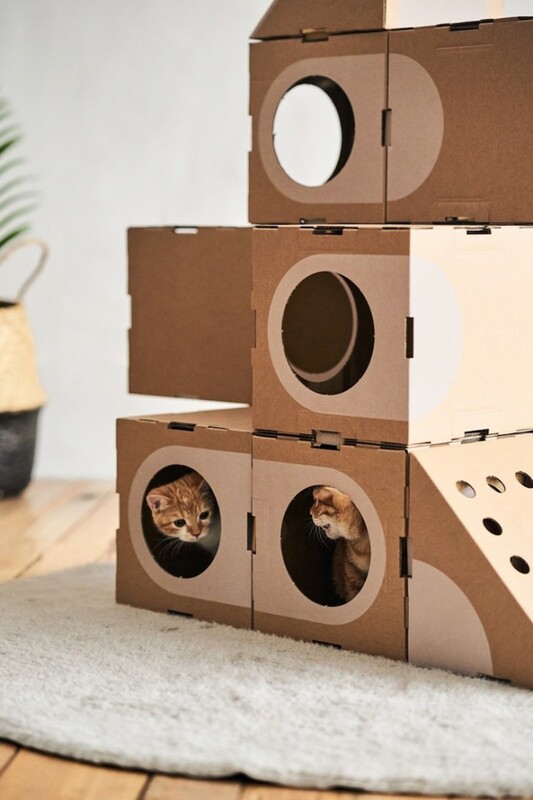 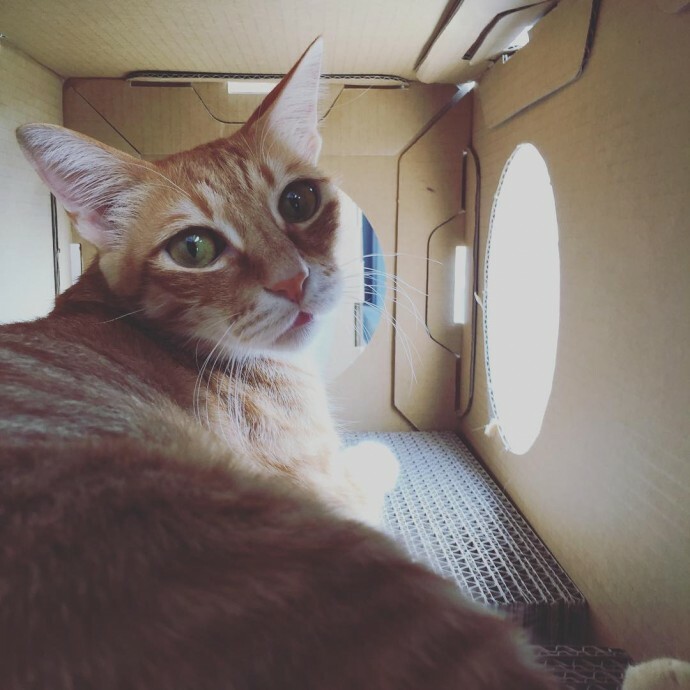 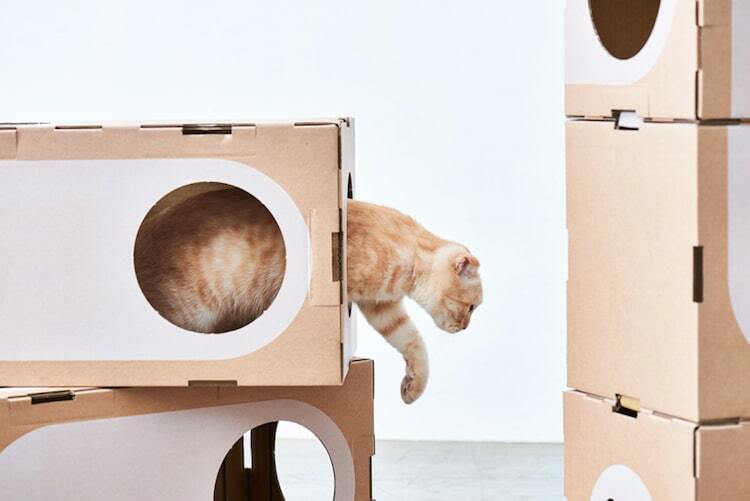 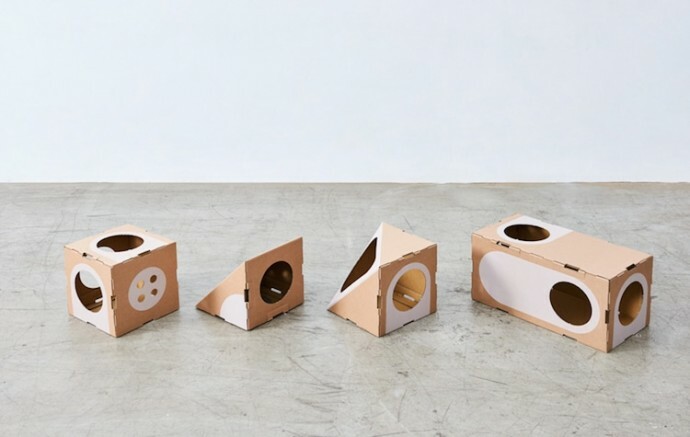 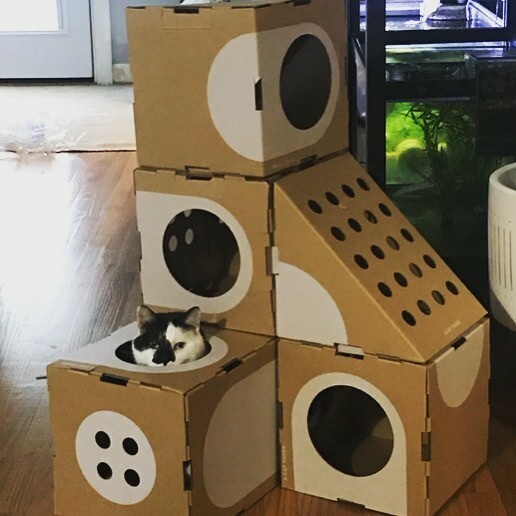 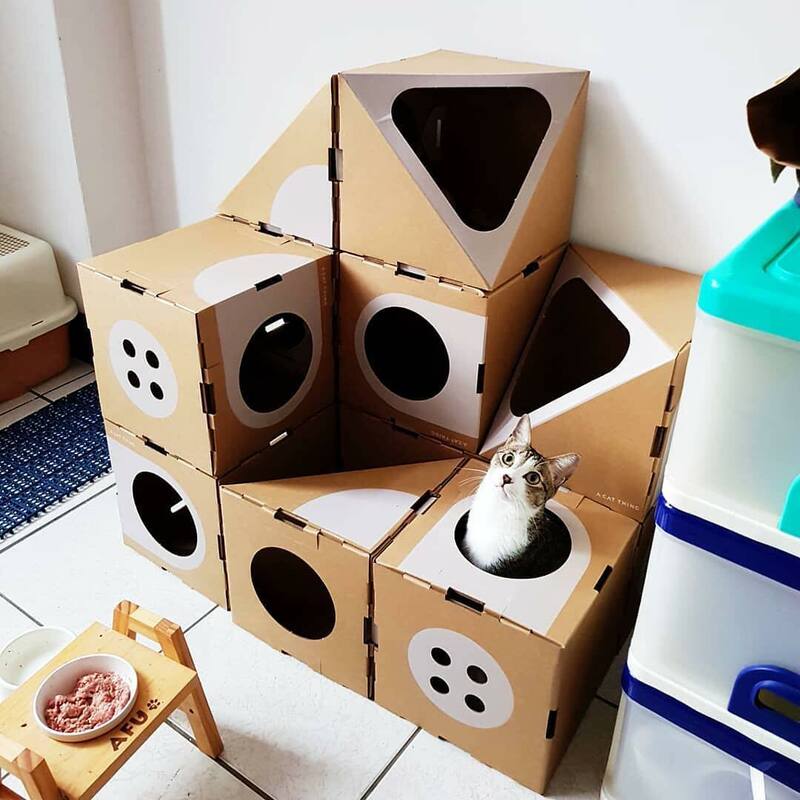 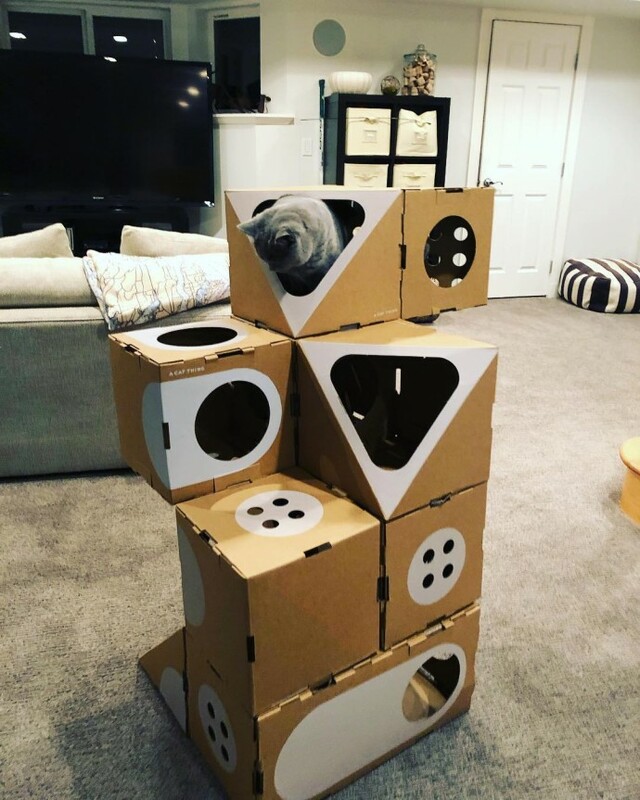 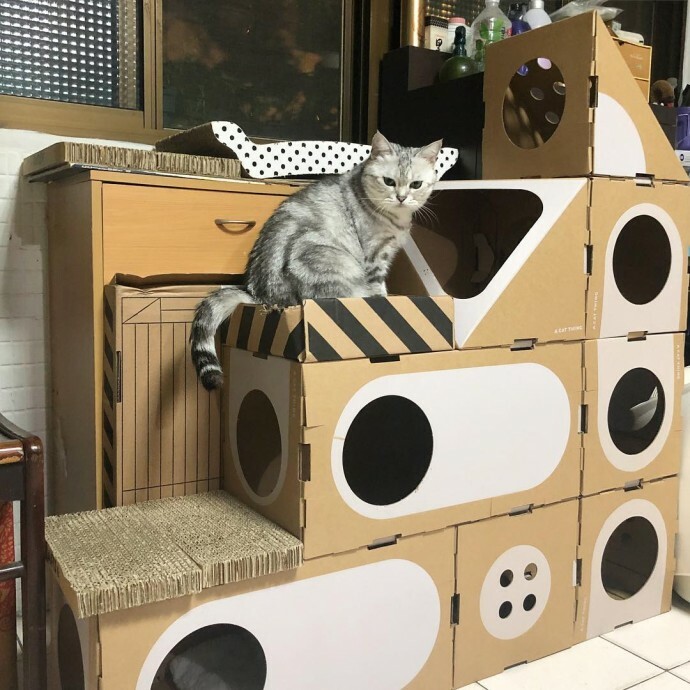 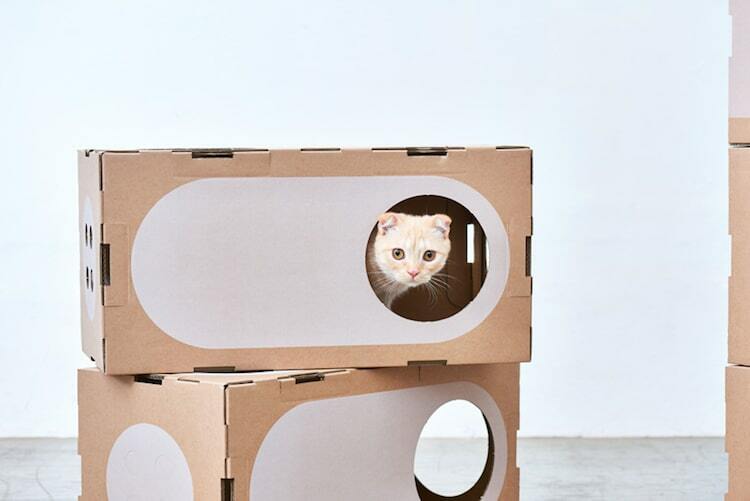 For this reason, a Taiwan-based company called A Cat Thing has created fun and modular cardboard boxes for cats, perfect to keep them entertained even indoor. 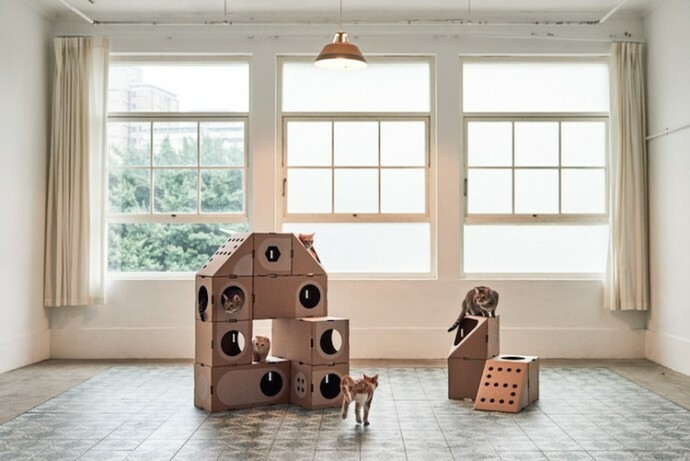 They called it the Room Collection, featuring boxes with different shapes, a concept inspired by LEGO toys. 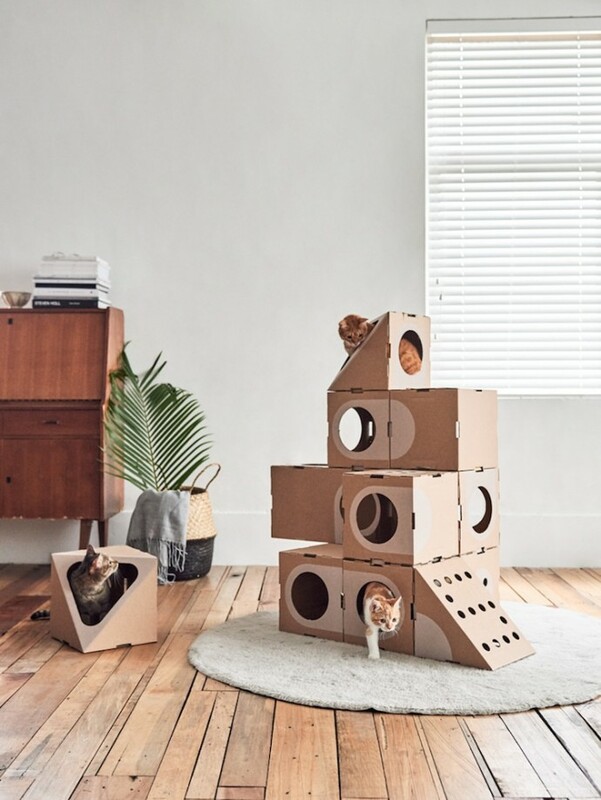 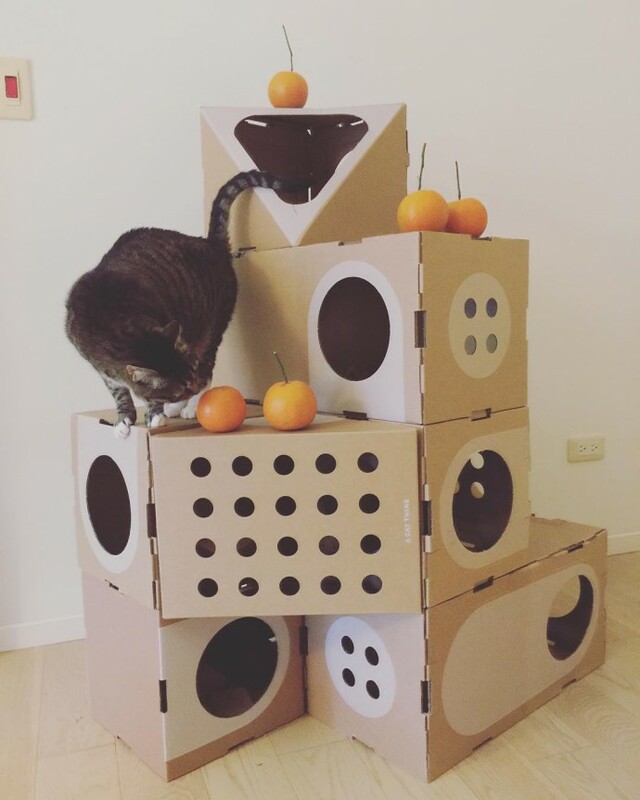 You can assemble these cardboard boxes in so many ways, and cats will surely have a lot of fun playing with these. 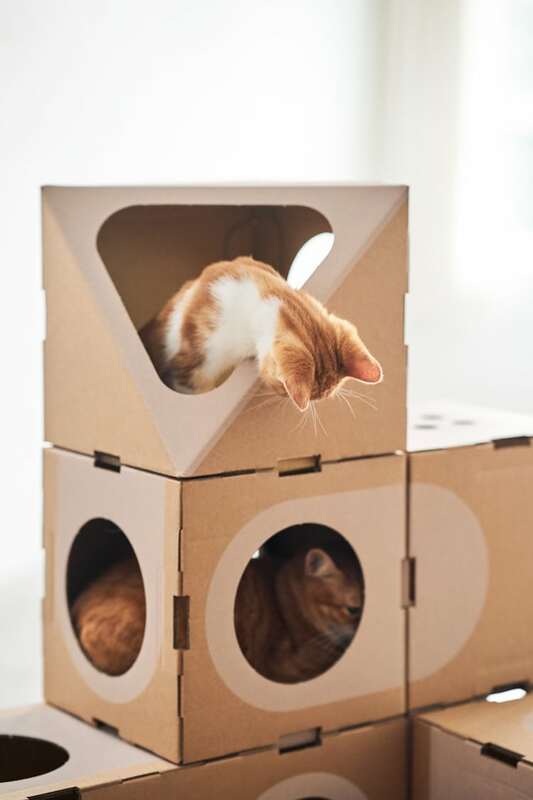 Take a look at the images below to see some happy cats playing with A Cat Thing boxes. 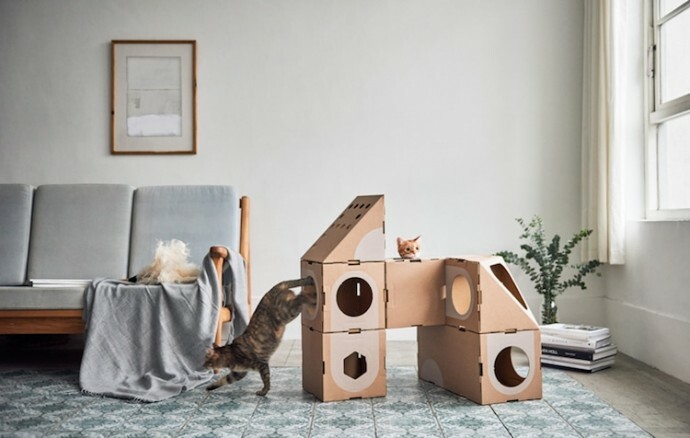 For more details, you can visit their website, Facebook and Instagram.